One of my major fail when it comes to dressing up is accessorizing. Before, I thought that wearing necklaces is a piece of cake. Whatever you feel that fits in your liking is okay with what you are wearing. Not totally though. 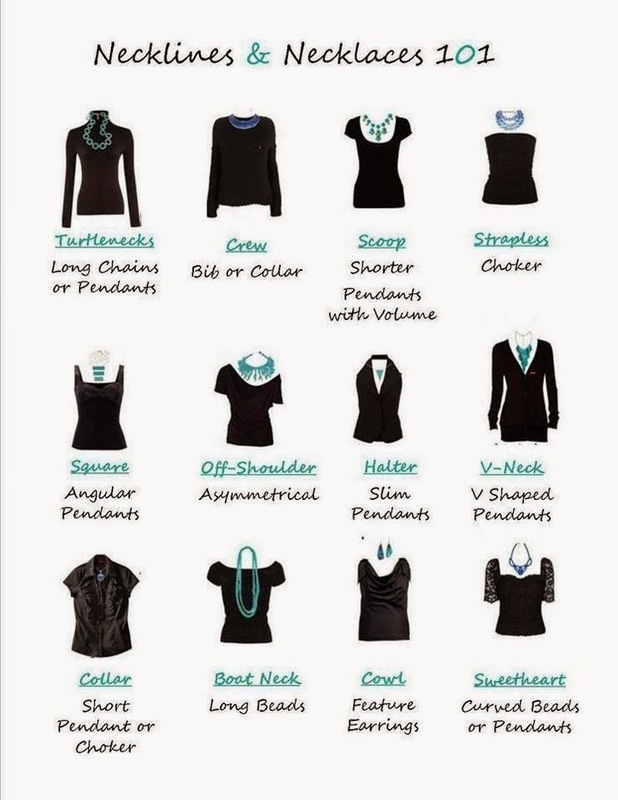 It may be quite a chore so you need to consider this helpful guide in accessorizing with necklaces. I like that this guide is helping me in choosing the right pieces I can wear with my specific clothing. Now, I know that bibs and collars can pull off a simple tee. Nice! I have to say accessorizing is also one of my weak points. Haha! 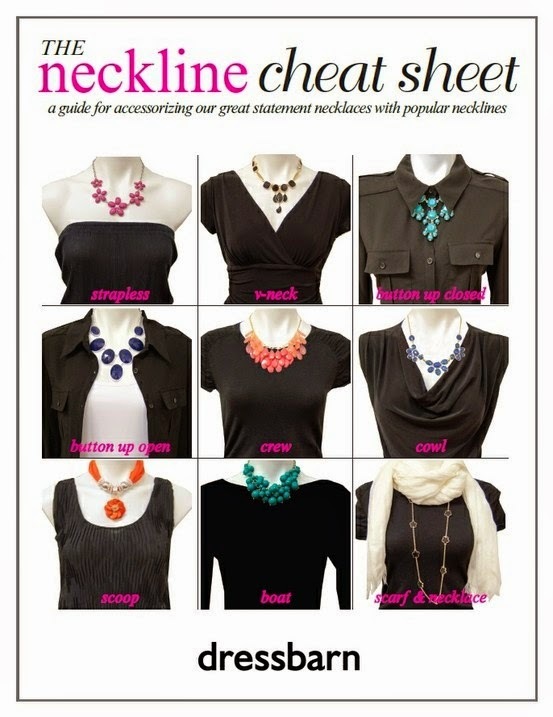 Great necklace cheat sheet. 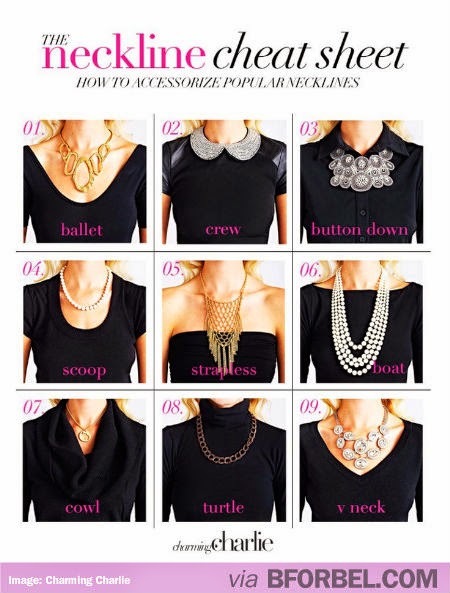 Many a times I too don't know which necklace is best for accessorizing an outfit. I experience the same dilemma. I just hope I have every piece to accessorize an outfit. yay,thanks for this post,i love accessories and i learn more how to use it on my ootd!